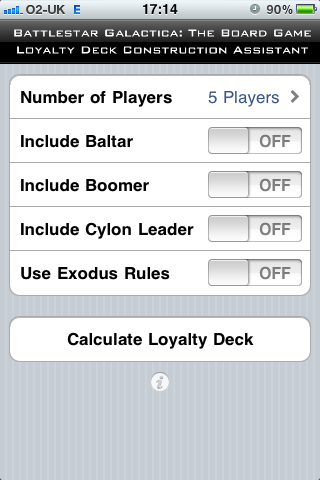 The app’s goal is to make it simple to assemble the correct mixture of cards required for the loyalty deck (as it must have an exact composition) without checking the rulebooks. With the two expansions available, there are now several factors that affect this composition. You select the options you want, press the button and it then tells you which cards to combine. 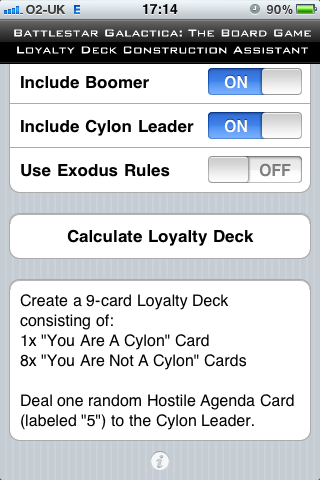 Want to get Battlestar Galactica Loyalty Deck for iPhone? Use a link below to go to the App Store.